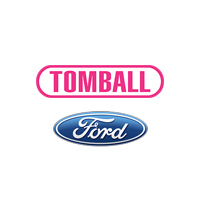 The area that is now Tomball, Texas was originally settled by German and European settlers in the early 1800s. The land now known as historic Downtown Tomball was originally granted to William Hurd in 1838. Settlers came to Tomball mainly to promote agricultural activities, lured by its peaceful streams, its rolling pastures and beautiful pine trees. In 1906 the area became the town of Peck, Texas. Shortly after, in 1907, the town was renamed after Senator Thomas H. Ball who helped the area thrive by running the railways through town, which was extremely important to the prosperity of the agricultural businesses in the area. In 1933 the Humble Oil & Refining Co. found Oil in Tomball. As a result, Tomball became known as “Oil Town USA,” and the citizens benefitted from an unusual deal with the oil drilling company: The town was given free natural gas to all residents for ninety years! 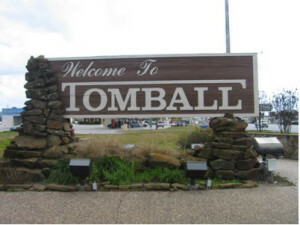 Today Tomball is known for its small town atmosphere and as a peaceful home to thousands who want to get away from the hustle and bustle of downtown Houston. Thomas H. Ball was a successful and prominent politician and lawyer, widely known as the “Father of the Port of Houston” and as the reason Tomball, Texas has such an unusual name. Tom Ball was born in 1859 in the town of Huntsville and was married in 1882. He had a total of six children – three biological and three adopted. Tom Ball went to Austin College in 1871 where he studied law and became a lawyer in 1888. He became well known in Texas as a strong prohibition supporter, as well as a three-time mayor of Huntsville and a a four-term US Congressman. A deep water port coming from the Gulf of Mexico into Houston used to be a dream that seemed impossible in the late 1800s. The amount of effort required to complete such a task was immense – a channel to Houston would \have to stretch 53 miles inland and would take a huge amount of money and effort. Tom Ball made a name for himself as the man who made that dream a reality, becoming the “Father of the Port of Houston” for his tireless work against opposition in support of a new Houston Ship Channel, which was completed in 1914. Today, Ball’s contribution to the Houston-area economy is immense: the port he championed is now the 2nd largest port in the United States, and the 8th largest port in the World.